All managers, executives, supervisors, support & admin personnel, sales & marketing, customer service & front desk, PR, technical staff, engineers, production staff, QA staff - Anyone who wants to learn to be a solution provider & provide creative input/ideas at the workplace. Would you like to learn to handle work problems confidently, with minimum supervision & be quick to generate practical solutions when problems arise? Would you like to think out of the box & come out with creative approaches? Would you like to learn to prevent firefighting, be more flexible & proactive? Are you looking for ways to be more solution focused in general? 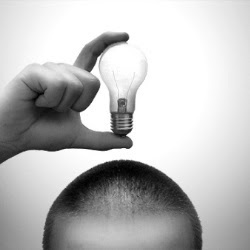 Would you like to come out with ideas that give you results? If you answer YES, then this course is for you! At last, a course that is dynamic, transformational and inspiring, taking you to a higher level of creativity with strategies and techniques to overcome daily problems at the workplace. Discover innovative and creative breakthroughs in work and business! Successful organizations recognize that creative solutions and problem solving skills significantly enhance business results and business potential. The easiest and fastest way for you to earn respect and credibility at work is to be able to solve problems. In these challenging times, you need to be the #1 solution provider in your company - to solve problems with confidence & clarity. This course has been specially structured to include interesting, workable, extraordinary techniques to enable you to break out of your comfort zones & think creatively. The tools taught here can help you to become more creative, think laterally & produce more desirable solutions. Focus on 3 main models - CREATIVITY, THINKING OUTSIDE THE BOX & PROBLEM SOLVING. They are designed to help you devise creative & desirable solutions to problems, spot opportunities that you might otherwise miss. Group Creative Thinking: to spur the imagination techniques & triggers used include - brainstorming, challenging assumptions, 5 Monkeys Syndrome, idea generating questions, combining/piggyback on ideas, connecting, associating, incubating, working with metaphors while having fun! Interesting activities to stimulate & awaken the immense creativity in you. After you have removed the barriers to creativity & understand the various creativity tools, you are ready to apply your own creativity. Here, you will work on the challenges in your own organization. Bring your work problems to the seminar so that you can produce ideas & results you can use back in your office. 13. HOW TO IMPLEMENT PARALLEL THINKING?